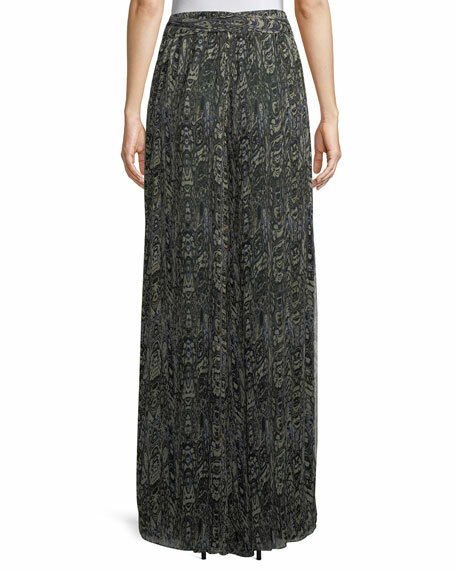 Super-wide, pleated cut mimics look of maxi skirt. Sits at natural waist with self-tie detail. For in-store inquiries, use sku #2501700. 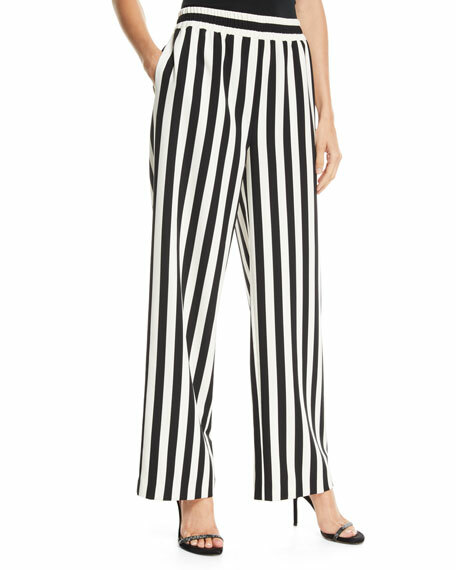 Alice + Olivia "Benny" striped pajama-style pants. Smocked waistband. Side slip pockets. Fitted through wide legs. Full length. Pull-on style. Polyester/spandex. Cupro lining. Dry clean. Imported. 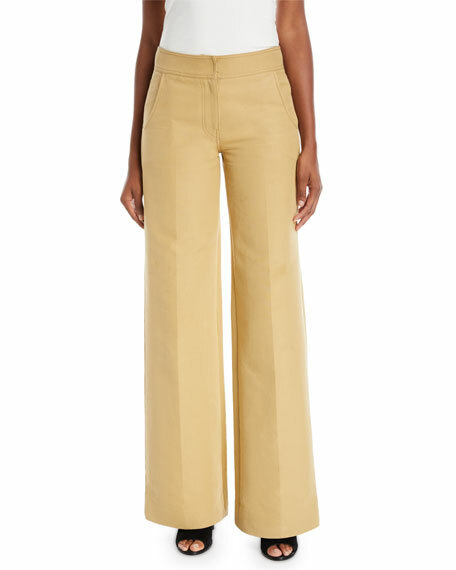 Derek Lam pants with tonal topstitching. Mid-rise; concealed fly. Side slip pockets. Wide legs. Cotton. Made in Italy. 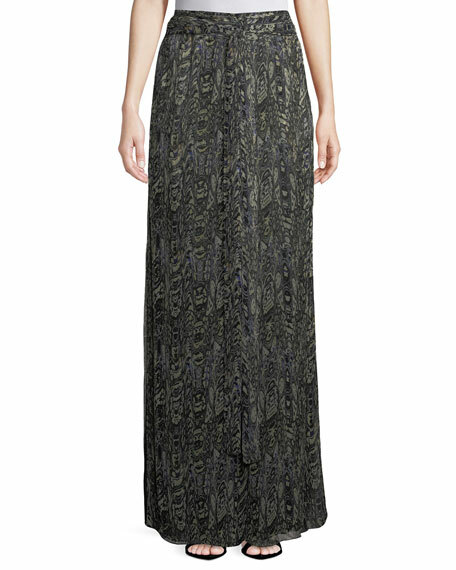 Model's measurements: Height 5'10.5"/179cm, bust 32"/82cm, waist 23.5"/60cm, hips 34.5"/88cm, dress size US 2. 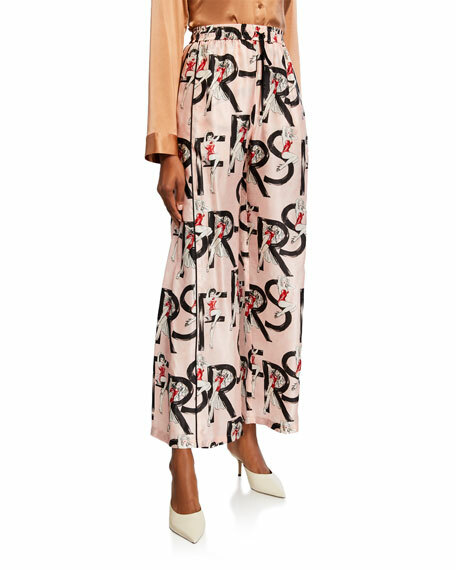 F.R.S For Restless Sleepers pants with logo wordmark and pin-up girl print on satin. Mid rise; elastic waistband. Wide fit through legs. Full length. Pull-on style. Cupro. Made in Italy. Isabel Marant "Orta" shorts in allover sequins. High rise. Side slip pockets. Wide-cut legs. Mid thigh length. Cuffed hem. Polyester. Made in Poland.